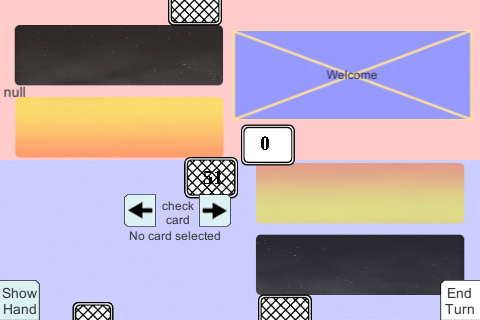 The top right shows a message box that gives instructions and teaches the player about the game. The levels are also set up so each level sets the number of guardian cards and cards in hand differently. Also it can set up which player goes first instead of being random. The screenshot shows level 1 starting both players with 1 guardian card (the one that’s sideways) and player 1 starting off with 1 card in hand (on the bottom). What’s next: continue building level 1.